There is a drastic need for affordable waste removal in Louisville, not just the first weekend in May. Budget Dumpster is always serving commercial locations all across the City of Louisville and the surrounding area. Our process is simple. 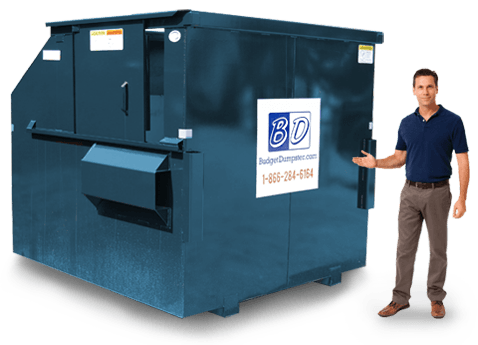 You contact Budget Dumpster and we help you decide which is the best size commercial dumpster for your specific location. Then, we handle the rest. 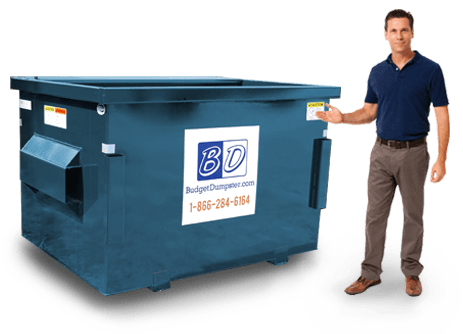 Budget Dumpster will arrive at your commercial location, retrieve the trash and vanish without a trace. However if you ever need us, our customer service department is readily available. Taking care of your trash should be EASY and can be EASY. 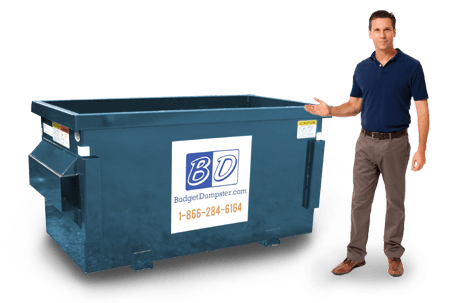 Contact Budget Dumpster and take advantage of an affordable waste removal service, every Louisville resident deserves. Easy to place, easy waste removal. Holds 600-800 lbs. of waste. Twice the size of 2 yard option. Holds up to 1000 lbs. of refuse. For apartments and grocery stores. Holds 1200-1400 lbs. of debris. Able to hold more bulky material. Can hold up to 1600 lbs. of waste. What kinds of trash can I toss into the dumpster? Our units can handle a variety of refuse types. We are able to accommodate most commercial uses when it comes to waste removal. This includes: apartment buildings and even large complexes, office parks, restaurants of various sizes, department stores big and small, just about anything. If you have the need of a commercial trash dumpster, you've come to the right place. If there is special debris (outside of what you would consider every day refuse from your business) that needs to be disposed of, just ask the customer service rep you speak with. Our employees are going to be able to give you a definitive answer on what can and can't be tossed into our dumpsters. Keep in mind we can't take hazardous or flammable materials, like tires and various types of electronics. 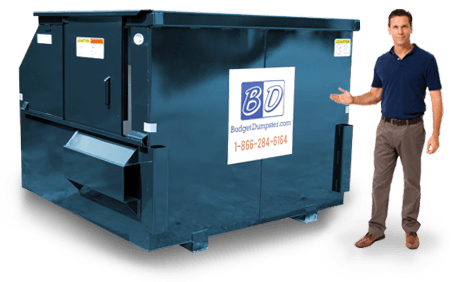 Just give Budget Dumpster a call to get your commercial dumpster service underway. The same people that have been providing you with exceptional waste container rentals for years can get you something a little more permanent. We have great monthly rates on our units, no matter what the size. You can get a one-year contract for a flat-rate wholesale price. Everything is straightforward and streamlined when you choose us. We want to make sure you are getting exactly what you need, staying under budget, and that you are satisfied every step of the way. Once you spend a few minutes answering our questions about what you need from us, we can get you matched up with a service that is catered specifically to you. If you have any questions, feel free to give us a call any time. Our customer service center is open five days a week, Monday thru Friday. We're available between the hours of 7 am and 8 pm Eastern. No matter who you speak with over the phone, you are going to be talking to an expert in their field. We want you to order confidently when you choose Budget Dumpster, we're the best in the business and we're ready to prove it. Come see the Budget Dumpster Difference firsthand.